There's nothing worse than facing a blank screen with a deadline. "The post is due up in one hour's time and I have no idea what to write about!" Ever been there? I have. Often. Hopefully, never again. I've learned to plan in advance. Let's move on to our next four reasons for writers to blog so you can learn this too. Decide on a theme for a series of blog posts. Decide how often you will post. This allows you to plan ahead. This also teaches you to look forward to what comes next in your writing journey. Decide on ways to make your posts multitask. Use your posts in other ways. For example, are you a devotional writer? 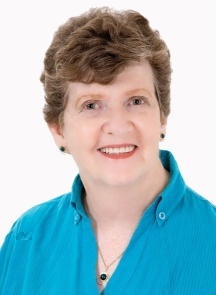 I am responsible for the Friday Devotional slot on the International Christian Fiction Writers (ICFW). I also send out a devotional email, Closer Walk with God, to all who sign up for a weekly message of encouragement. After writing the series of 26 posts for the Out of Africa Blogging Challenge, I was able to produce 20 devotional messages from the contents of the blog posts in record time. These are already scheduled for both the above markets. Are you writing a novel? Decide how you can make your blog "work for you" as you explore your locations* or get to know your characters. Decide on whether you can first explore a topic via a blog. Perhaps you want to write a book or an article on the topic. By first writing a series of blog posts, you will see how much material you have, how well your ideas work out, and what potential the material has for further use. Remember when writing was fun? It can be fun again. I’ll be honest, my blog have been sorely neglected. There is always something more urgent demanding my attention. Do I hear an Amen? Once you have a clear goal in mind and you've decided what you're going to write about, you will find yourself growing in enthusiasm. Let your mind play with ideas. While working on the A to Z theme for of Out of Africa, I found myself constantly thinking over what I could say for the different letters. Should O be about the Ostrich or the Okavango? (Ostrich won!) P? Should that be Penguin or Port Elizabeth? (Port Elizabeth it was.) When you allow your mind to play, your regular posting will rekindle your enthusiasm for writing for the sheer joy of being able to express yourself in words. Let your fingers do the talking! Forget about editing. Ignore grammar rules. Don't worry about spelling. Just get those words down. Be enthusiastic about what you want to say. After you've finished, time to call in the grammar police and the rest of the gang. Edit your work and make it fit for human consumption. It costs you nothing to blog apart from your time. Various sites offer you free blogging facilities. Writers on the Move is hosted on Blogger.com which is totally free and offers bloggers a wide variety of resources. Not only is blogging free for the writer, it is also free for the reader. You are free to choose your topic. Thinking of writing a book? Try it out by drafting some chapter summaries, one per post. How about adding some personal anecdotes? Are you planning to start a new novel? How about blogging about your characters? for example, Marion Ueckermann's character, Adam Carter from Helsinki Sunrise, is interviewed by another author, Heidi McCahan on her blog. This offered free promotion to the book to Heidi McCahan's readers*, as well as a link to Marion's own blog. Readers are free to share their thoughts. End each post with a question that encourages them to respond to what you have written. If you're planning on using the material in some other way, their input may prove invaluable. This also helps them to identify with your material. Google search engines start to find you when you blog regularly. They will share your material with the world. Your ranking will go up and more people will come and visit. As a writer, your name will become better known, as will your books. Visitors will be drawn into other topics on your blog or website. My blog is built in such a way that every post I publish is also filed under whichever categories I want it to appear. Where blog posts tend to disappear into the archives, mine are always available to readers who look under the relevant topic. If you don't have this facility, you can add links down the side of your blog (see this site as an example). It’s easy to attract visitors to other articles on your blog through linking to articles in your archives. Use sub-headers and optimization to attract Google. (More on these topics later.) The more readers come across your name, the more interested they will become in you and your work. Can you think of ways you can use your blog material in other ways? Share them in a comment below. * Explore Finland, location of Marion Ueckermann's Helsinki Sunrise, in this blog post written for a blogging challenge. Shirley, you've packed this post with useful tips, resources and ideas. I'm inspired and ready to launch my vulture blog. Thanks. Thanks for this, Debra. Good luck with the vulture blog and don't forget to give us the link! Thanks Carolyn. Lots more to come as well. Each post will offer more suggestions including resources, some of which I have just discovered as well. Late visiting, Shirl, but so glad I read this. Your enthusiasm is infectious. Thanks Annie. :-) Just writing this series is increasing my enthusiasm for blogging! 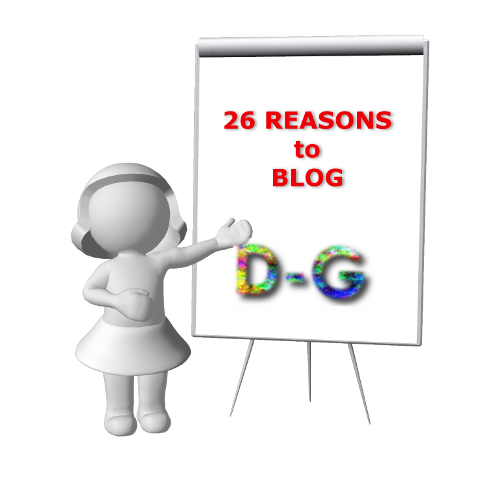 Shirl, great list of reasons a writer should blog. I love "Remember when writing was fun?" Thanks Karen. Yes, how often do you wonder where the fun went? I confess I do. Then suddenly I write something meaningful, and I remember - it's still there. I just need to keep writing things I enjoy.